My first attempt at building a tricopter. It was meant to be as cost effective as possible and was equipped with a beastvision later on. It was controlled with a KK board, pretty much the simplest solution I could find. As ESCs I used the ones from my KDS helicopters, but that didn´t went out that well because one of them were different so the RPM were set incorrect for a stable hover even after multiple calibration attempts. 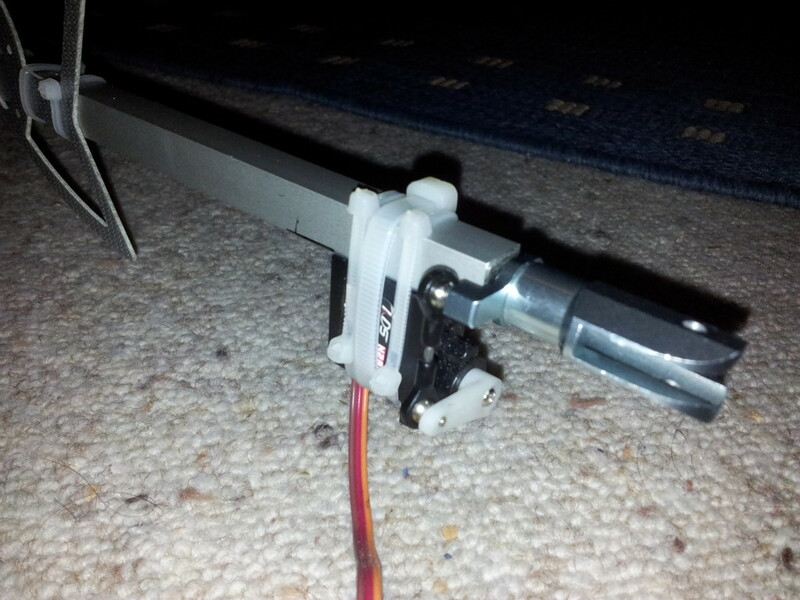 The most delicate part was the build of the yaw mechanism. I ended up using a blade grip from a 450 RC Helicopter. That was glued in together with some bearings into the aluminum arm. It came out like this after all components, including a flycam, were mounted. 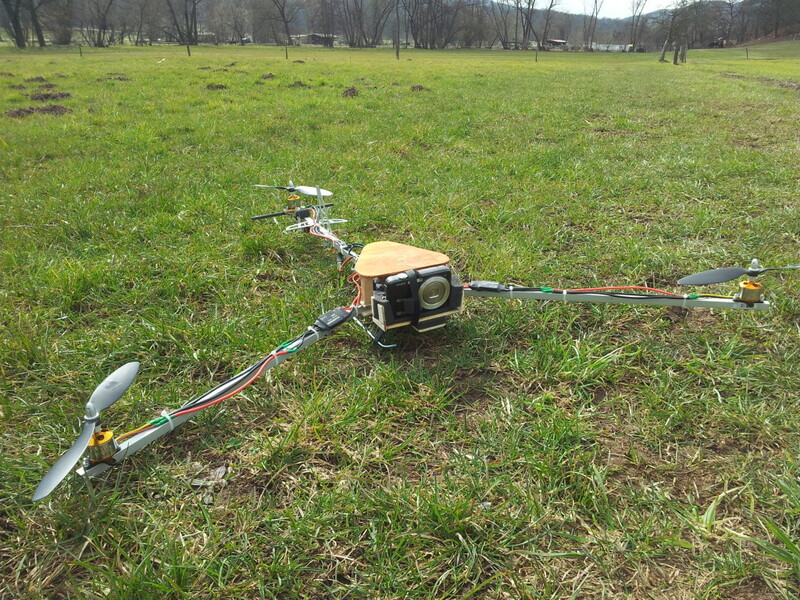 It flew pretty well but wasn´t very useful. 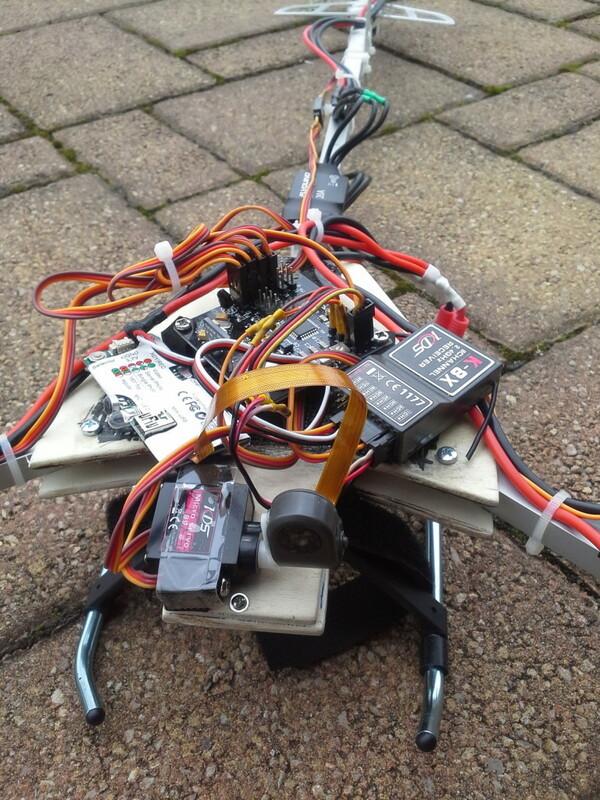 I added a better camera and protected the flight controller with a second deck made out of plywood. 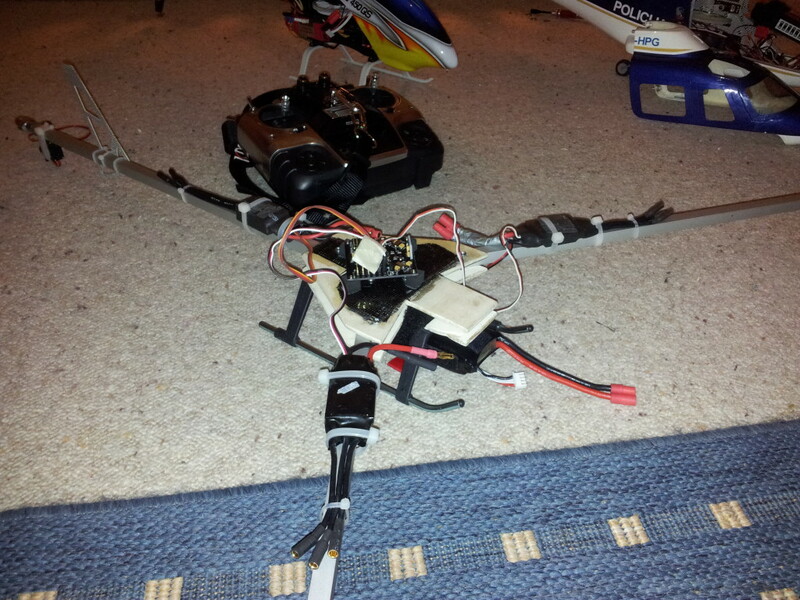 This was tmy first step into the multirotor universe, with nothing magical involved. I learned quite a lot from this and it was even used to shoot some footage of a flood and some drfiting action. 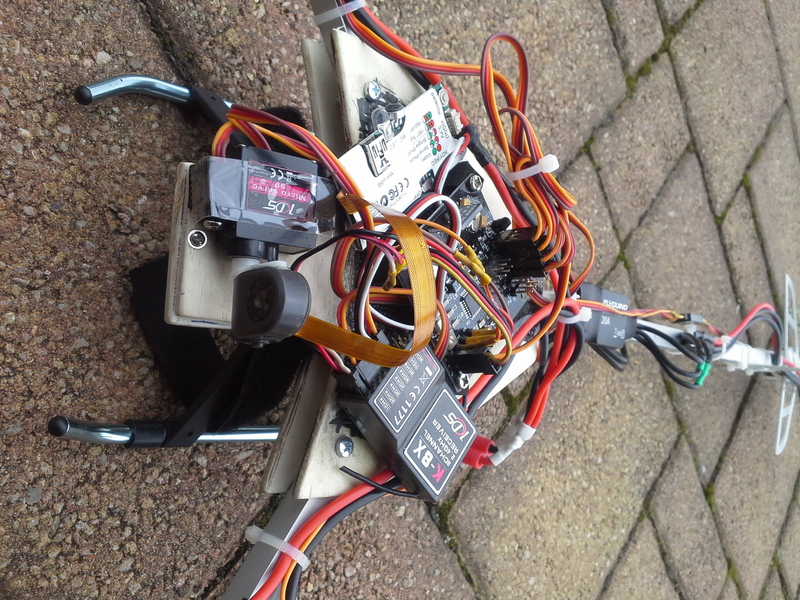 The lack of a gimbal and the very basic flight controller made it difficult to gather good video material. ich interesiere mich auch für eine MPCNC und es wäre das erste NC-Gerät für mich. Für Tipps beginnend bei der Beschaffung bis zu Fallen beim Aufbau wäre ich sehr dankbar! danke für deinen Kommentar, ich werde dazu in naher Zukunft einen deutschsprachigen Eintrag verfassen. Die Lieferanten dazu werde ich mit integrieren.